New update of a texture pack for Minecraft 1.8, in this case, it’s a pack with an original design that will add a funny style to your Minecraft. 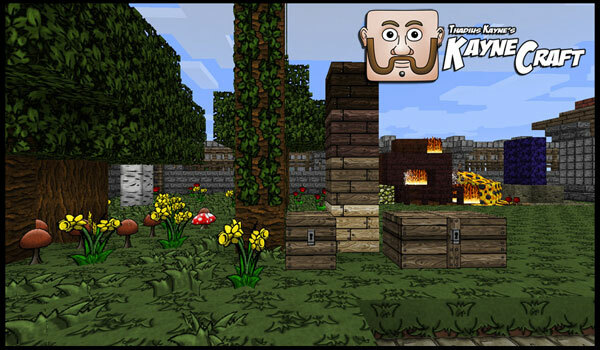 KayneCraft 1.8 in this new update adds a new development, the paintings and pictures, which in previous versions weren’t available for this pack. The pack that we offer is an intermediate of 64x where we find a balance between resolution and FPS’s consumption. How to install KayneCraft Texture Pack for Minecraft 1.8? Paste the donwloaded texture file into: “resourcepacks”.